Georgia Secretary of State and gubernatorial candidate Brian Kemp unveiled his new plan to curb street gang violence on Tuesday at a press conference in historic Marietta Square. 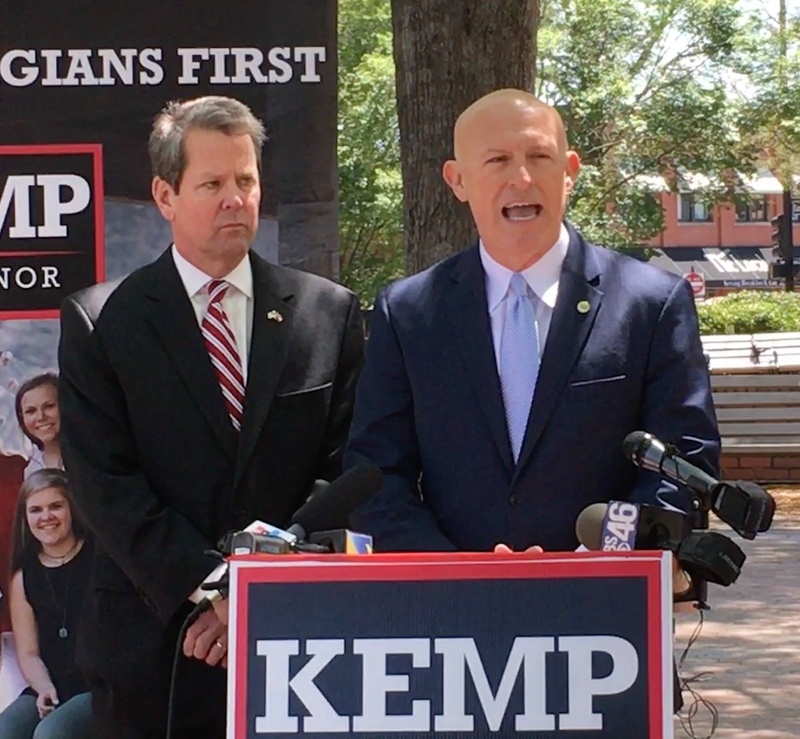 Kemp was joined by Cobb District Attorney Vic Reynolds, who kicked off the presser by announcing his endorsement of Kemp’s campaign, saying that the Secretary of State is the man to confront the “statewide problem” that is criminal street gangs. Reynolds has long been a vocal leader on fighting back against gang activity, urging candidates to “go in hard” on the issue. Thus it makes sense to see the DA support Kemp, whose four step ‘Stop and Dismantle’ plan is perhaps the most direct and concrete answer to the issue that we’ve seen out of a gubernatorial candidate.